Minister for Immigration, Defense and National Security Ratu Inoke Kubuabola outside Parliament on July 10, 2018. Photo: Ronald Kumar. To elevate the role of the Fiji Police Force up to par with modern day policing standards, scholarships will be extended to Police officers. This is expected to meet new age requirements, such as physical, financial and cyber forensics. Minister for Defence, Ratu Inoke Kubuabola revealed this while responding to the 2018-2019 national budget in Parliament on Monday. He said the initiative has been covered in the Budget. Ratu Inoke said Police officers would also undergo training in leadership development, improved investigations procedures, techniques and other specialist fields. As the institution responsible for maintaining law and order in Fiji, Ratu Inoke said it was important that they employ best practices in Police work using modern technologies and innovative strategies to prevent criminal activity. “By transforming the Fiji Police in becoming a modern policing and law enforcement agency, we all can be proud of its existence,” he said. Ratu Inoke said it was important to liberate the Force out of the traditional ways to meet challenges in the sophisticated and modern policing area. He added that the total budget for the force was $193.5 million. Ratu Inoke said the Ministry would also focus on regularising 421 positions in the first Phase and creation of a further 180 constabulary positions. “As part of progressive improvements, Phase 1 as reflected in this Budget enables the Force to stabilise its current structure by regularising 421 positions. “Over the years, the Fiji Police Force had temporarily established Police stations and specialised units by sourcing personnel from within its existing strength. “This regularisation process will allow the Fiji Police Force to formalise its establishment to the required manning level. “Additionally, the creation of 180 constabulary positions will allow the absorption of special constables into the regular 26 Force, which is part of the phasing out of the SC cadre. 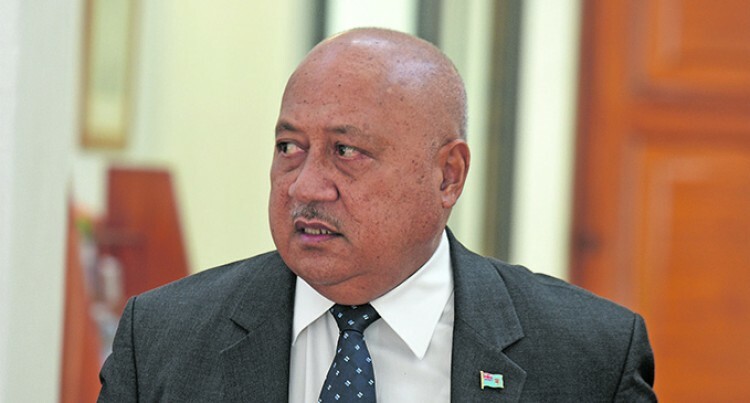 This whole process is part of the five year restructure implementation phase, where the overall manpower will be more than doubled by 2023,” Ratu Inoke said.